Storey Publishing, LLC, 9781580172417, 168pp. Author Donna Maria is an attorney, an aromatherapist, and the founder and president of The Handmade Toiletries Network. 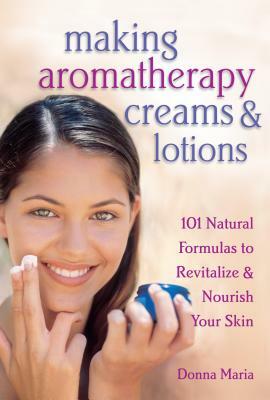 Her book Making Aromatherapy Creams & Lotions is a must-have collection of tips and recipes for creating unique body care products. Her articles have appeared in such magazines as The Aromatic Thymes, The Natural Foods Merchandiser, The Saponifier, and The Handcrafted Soap Maker's Guild Newsletter. Donna is a member of the Aromatic Plant Project, the American Society of Association Executives, the Cosmetics, Toiletries & Fragrances Association, the Handcrafted SoapMaker's Guild, and the National Association For Holistic Aromatherapy. She lives in her hometown of Washington, DC.